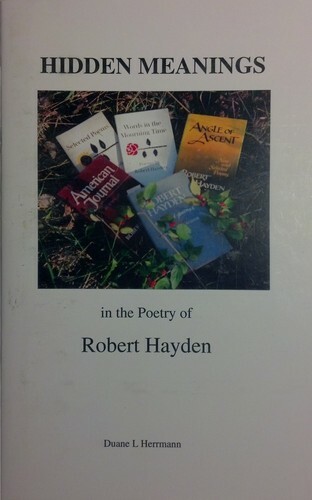 1 edition of Hidden Meanings in the Poetry of Robert Hayden found in the catalog. Add another edition? Are you sure you want to remove Hidden Meanings in the Poetry of Robert Hayden from your list? Published 2012 by Buffalo Press in Topeka, KS . Content analysis of selected poems of Robert Hayden indicating religious influence. April 25, 2018 Edited by Duane L. Herrmann Edited without comment. August 15, 2014 Created by Duane L. Herrmann Added new book.